Welcome to Kristen Meckem Travel, where we plan enriching travel worldwide for the discerning client. 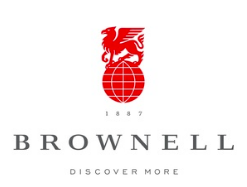 Through my affiliation with Brownell, a Virtuoso agency, I have deep relationships with the very best luxury travel companies in the world. We are a top producer and “preferred” partner with the world’s best cruise lines, hotels and resorts, tour operators and destination management companies. Let me use my contacts to each property and a direct line to the manager of the property to bring you amenities such as free breakfast, complimentary upgrades, and resort credits. Between my first-hand travel experiences and our access to travel resources, we will make sure your trip turns out just the way you imagine – or better – every time. So whether you want a quick little weekend get-away or the dream trip of a lifetime, we will make it happen.